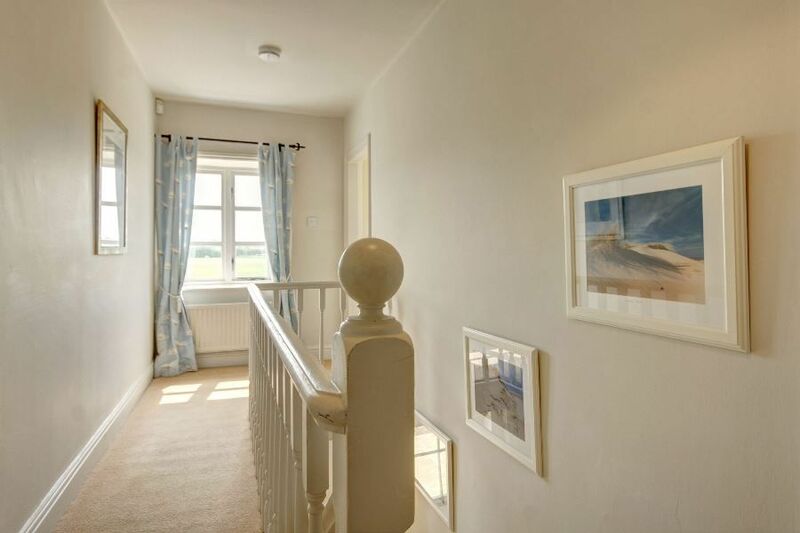 Greystones is a beautifully presented coastal three-storey house with stunning open views across the marshes and out to sea. 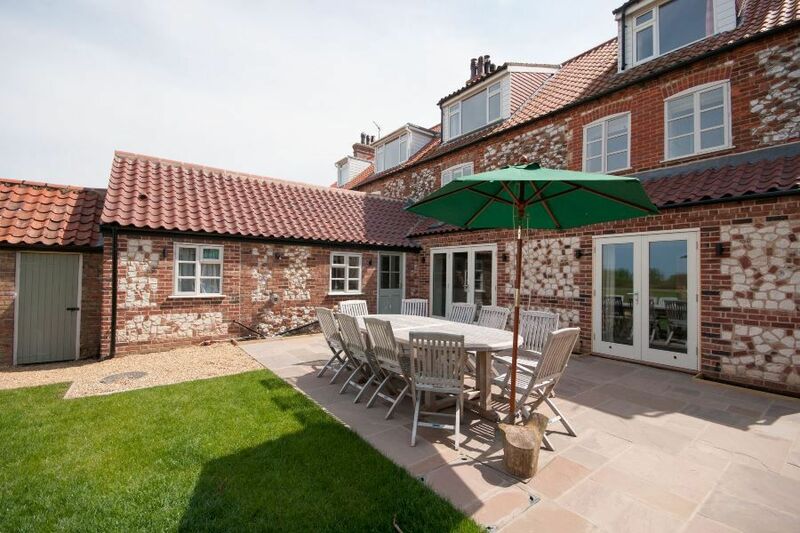 This superb period Norfolk flint and brick family second home has been imaginatively extended and renovated, including a fabulous light and spacious kitchen cleverly designed to enjoy the lovely views, a contemporary downstairs shower room, utility room and a landscaped private garden. 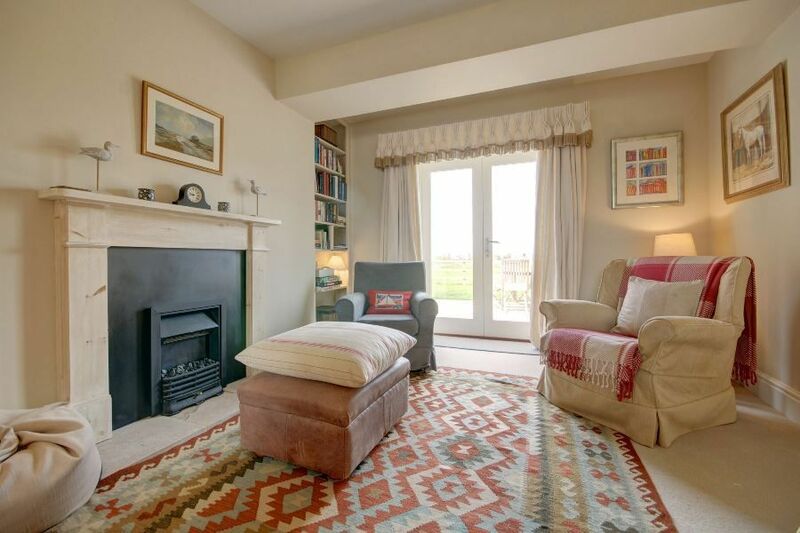 It is ideally located in a quiet lane in the heart of Holme-next-the-Sea, backing onto the marshes, within a short walk of the coastal path and Holme's gorgeous unspoilt sandy beach and the nature reserve. 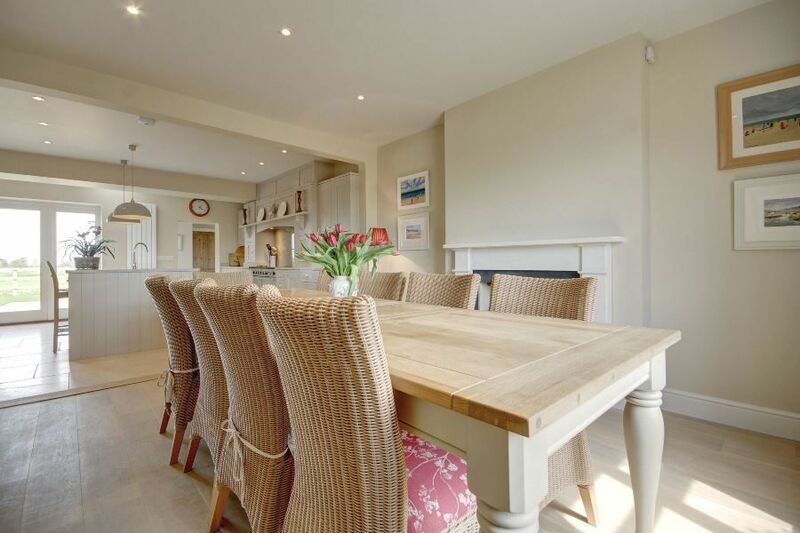 This is a lovely house for two families and friends, with five good-sized lovely comfortable bedrooms (two on the second floor and three on the first floor) and four bath/shower rooms, with the advantage of underfloor and central heating, making this a luxurious and comfortable "home from home" from which to enjoy the beauty of North Norfolk throughout the year. Light and airy entrance hall with a desk, ipod dock and chair. 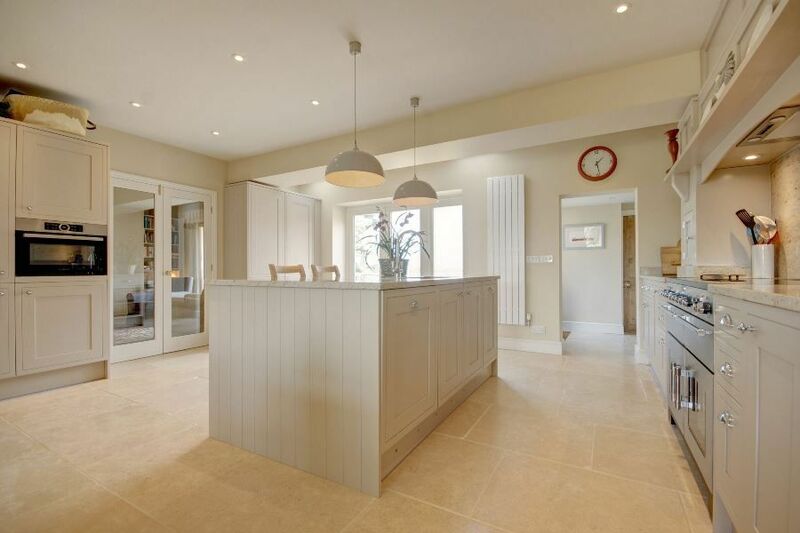 A fabulous open plan light and spacious kitchen/dining room with stunning open views across the marshes. There is a Sonos sound system and free Wifi provided throughout the house. 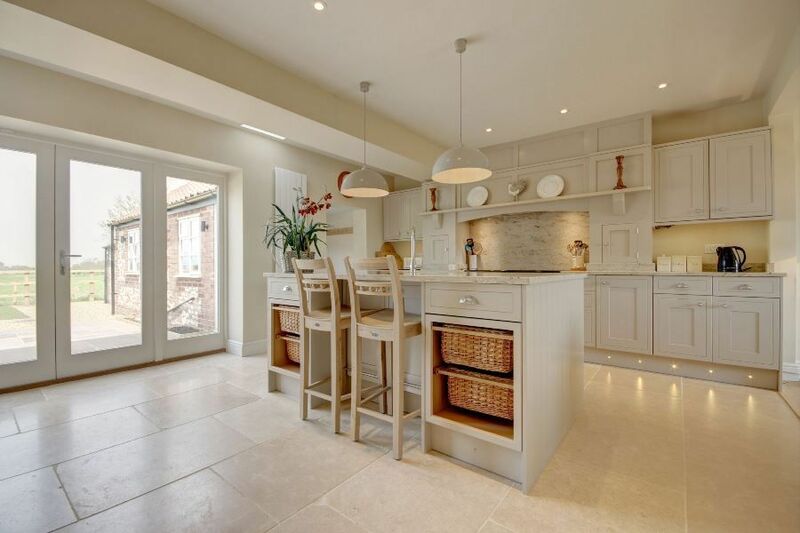 Kitchen: a superb kitchen with limestone floor with underfloor heating, painted units, granite worktops, Belfast sink, a breakfast bar with stools and glazed doors opening out to the garden. It is really well equipped with a Rangemaster electric cooker with an induction hob, integral microwave cooker, integral dishwasher, Nespresso Machine (pods not provided), integral full height fridge and integral freezer. 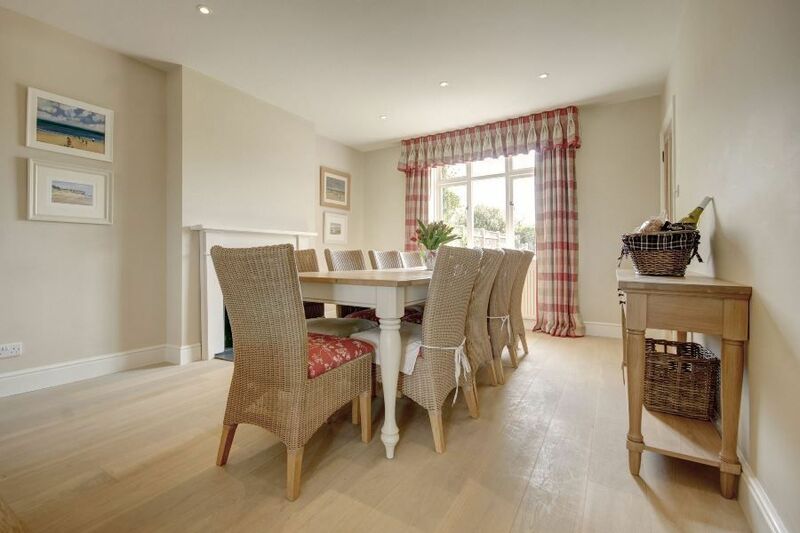 Dining Area: Lovely spacious area with oak flooring, a wood-burning stove and a large wooden table and comfortable upholstered chairs for ten guests. 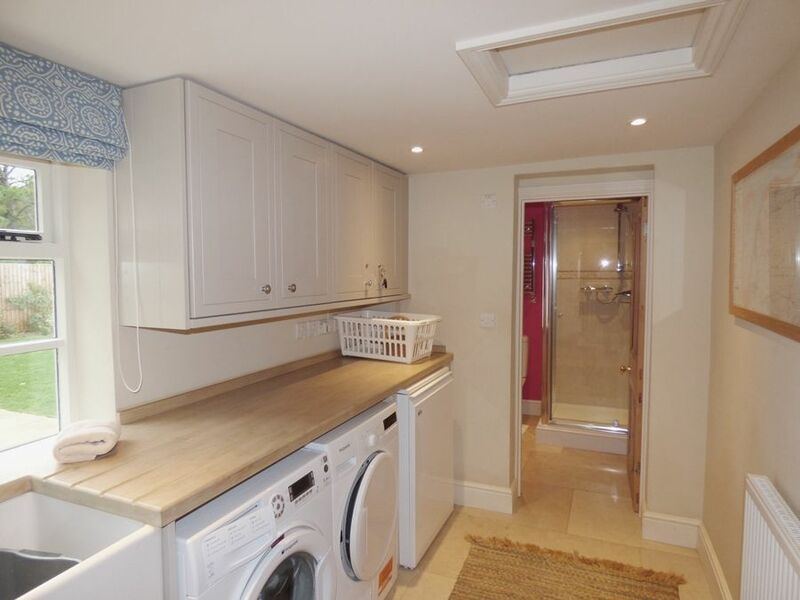 From the kitchen it leads through to the Utility area: with a washing machine, condensor tumble dryer and Belfast sink. 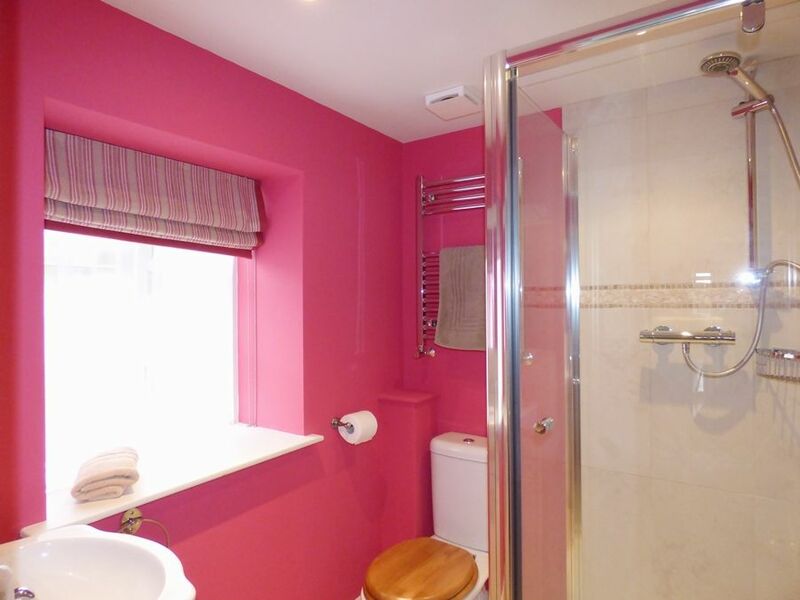 Leads through into the Shower room: newly decoratec with a walk-in shower, hand basin and WC. 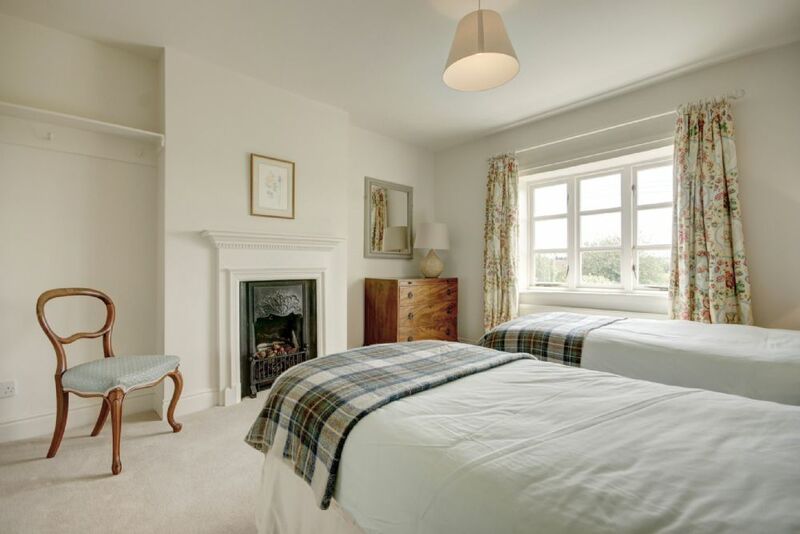 Sitting room/Snug: Tastefully furnished lovely double length room room with two distinct sitting areas making it ideal for large groups of family and friends. 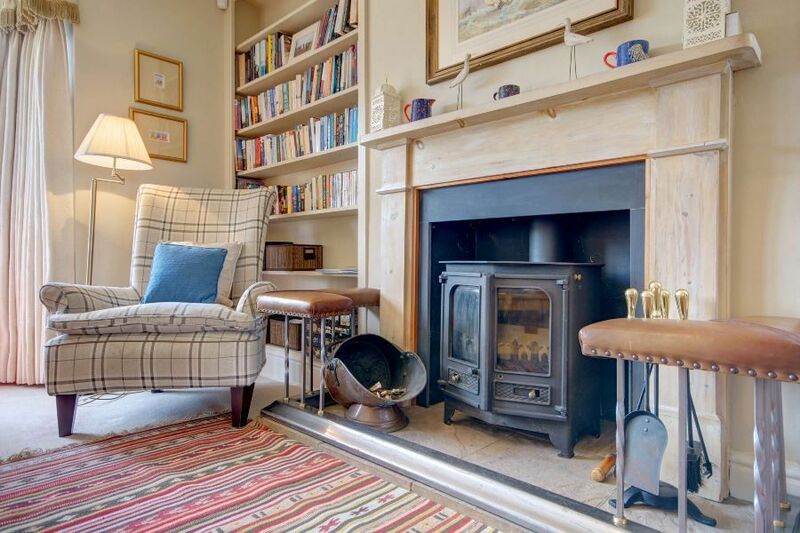 Towards the front is a wood burning stove, well-stocked bookcase, large sofa and three armchairs (this area comfortably seats six adults), TV and CD & DVD player. 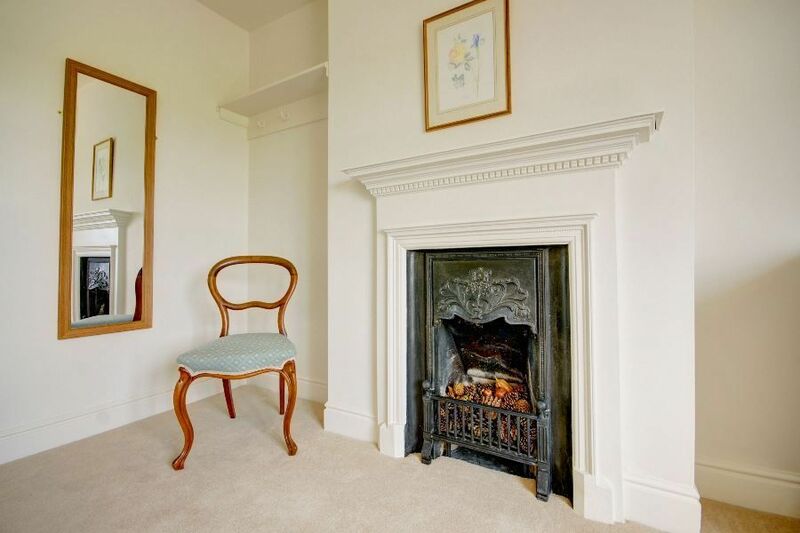 There is an arch through to a second smaller sitting area (snug) which has glazed doors overlooking the garden, with four armchairs and an electric coal-effect fire. 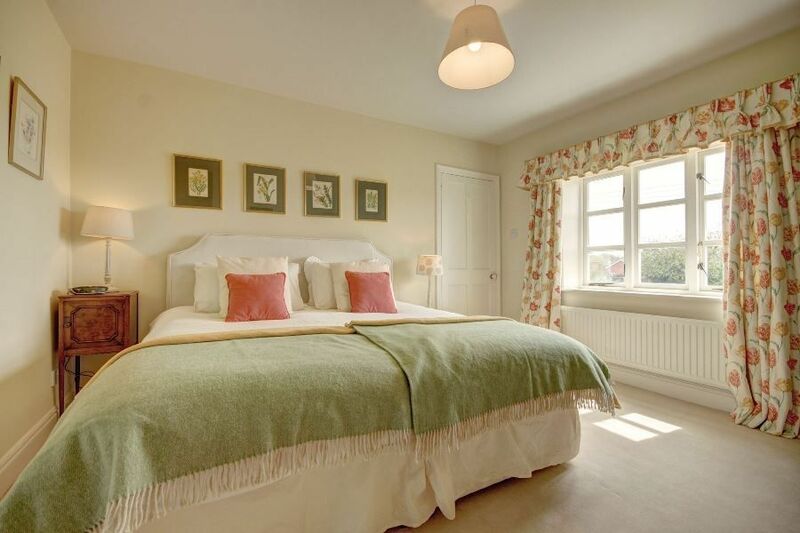 All the bedrooms are beautifully presented. 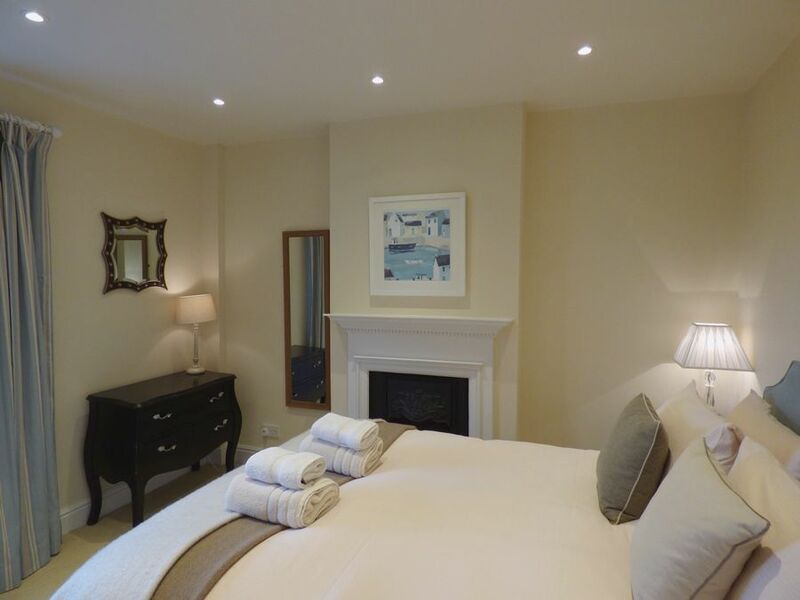 Bedroom 1: Lovely light and spacious room with a super king-size bed (zip and link which may be made up as twin beds), bedside tables and lamps, hanging hooks and chest of drawers. 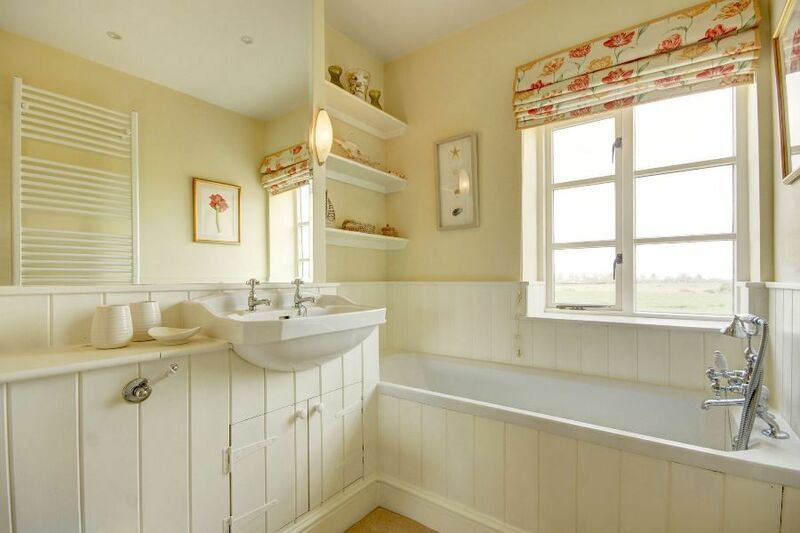 En-suite bathroom: stunning views across the marshes - with a bath, hand basin and WC. 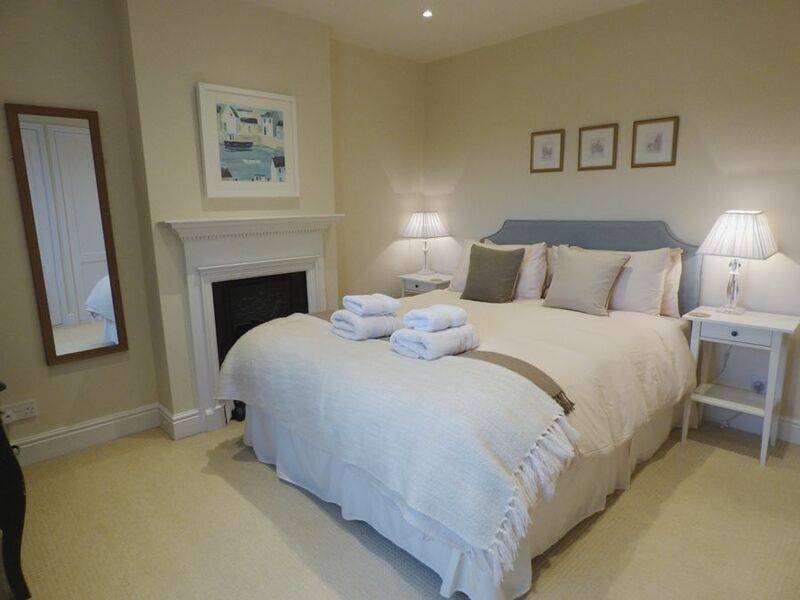 Bedroom 2: With lovely views out towards the sea, king-size bed, bedside tables and lamps, chest of drawers and a wardrobe. 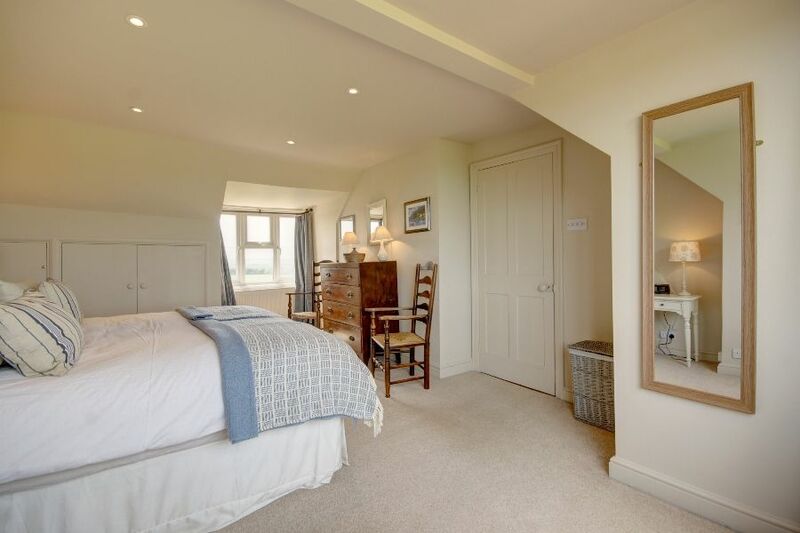 Bedroom 3: Light and spacious with twin beds, bedside tables and lamps, chest of drawers and hanging hooks. 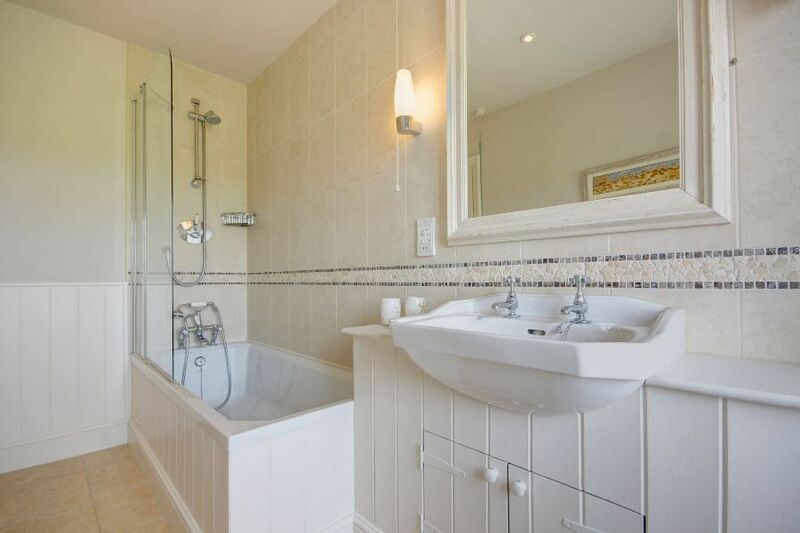 Family bathroom: With a bath with shower over, hand basin and WC. The stairs are a little steep, but there is a hand rail. 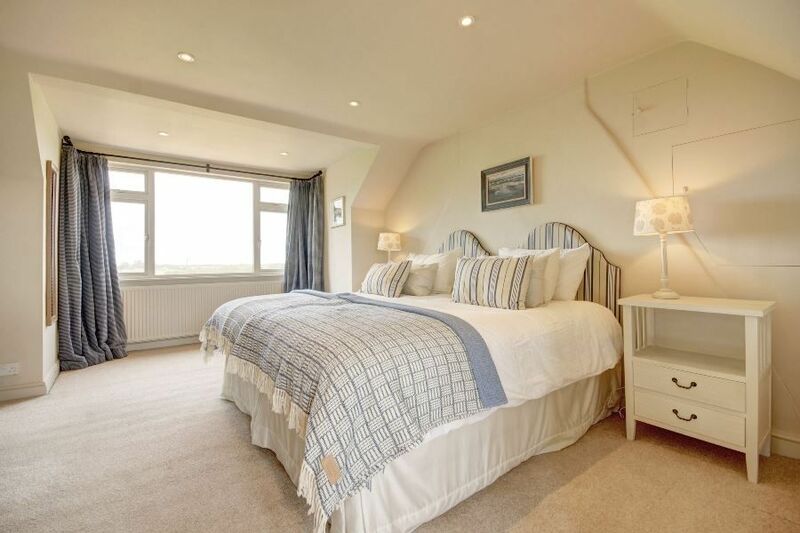 Bedroom 4: Light and spacious with wonderful marsh and sea views, super king-size bed (zip and link which may be made up as twin beds), bedside tables and lamps, chest of drawers and a built-in wardrobe. 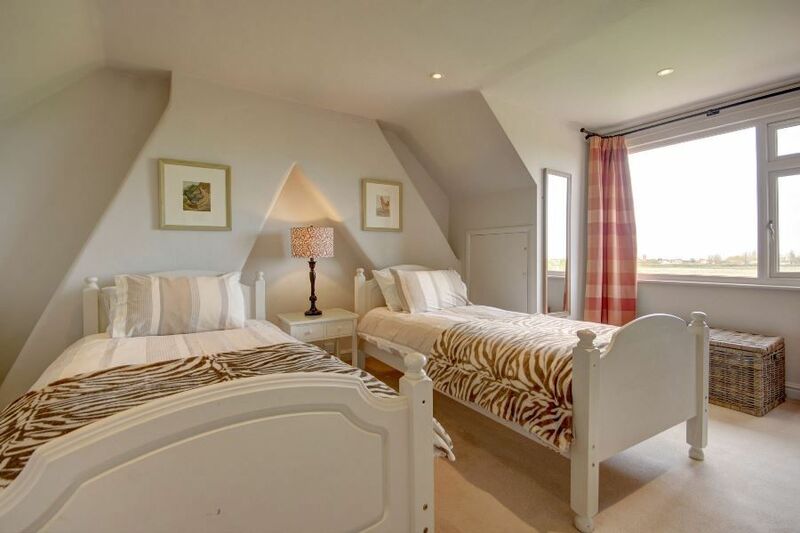 Bedroom 5: Lovely views across to the sea, a pitched ceiling, twin beds, bedside tables and lamps. 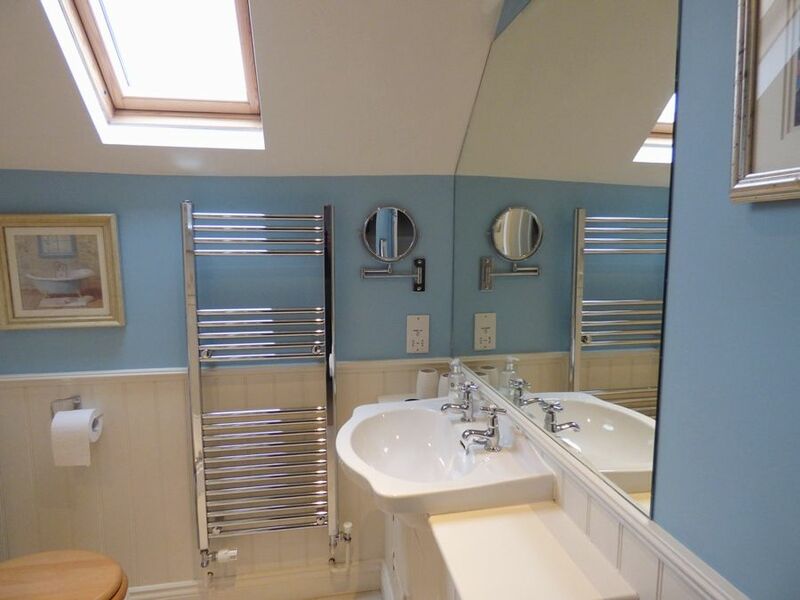 Shower room: newly decorated shower room with a walk-in shower, hand basin, heated towel rail and WC. There are 3 hair dryers available in the property. 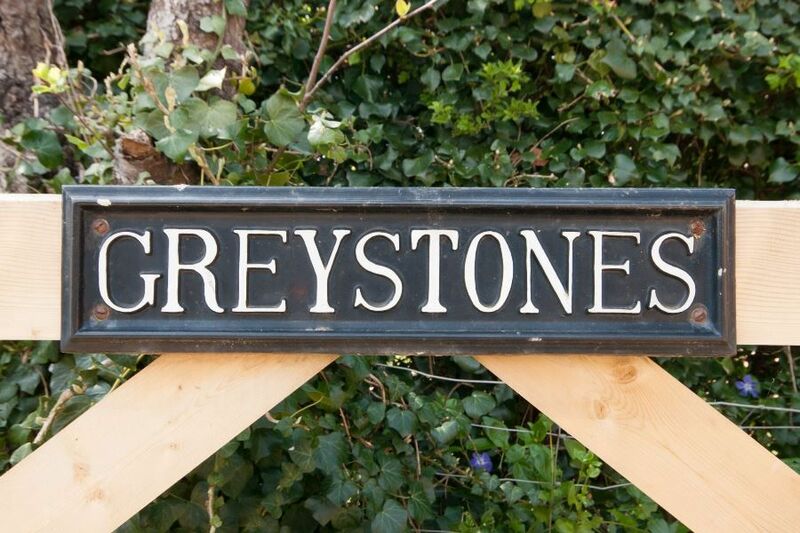 Greystones is quietly situated along Westgate with plenty of parking space in the shingle driveway at the front of the house. 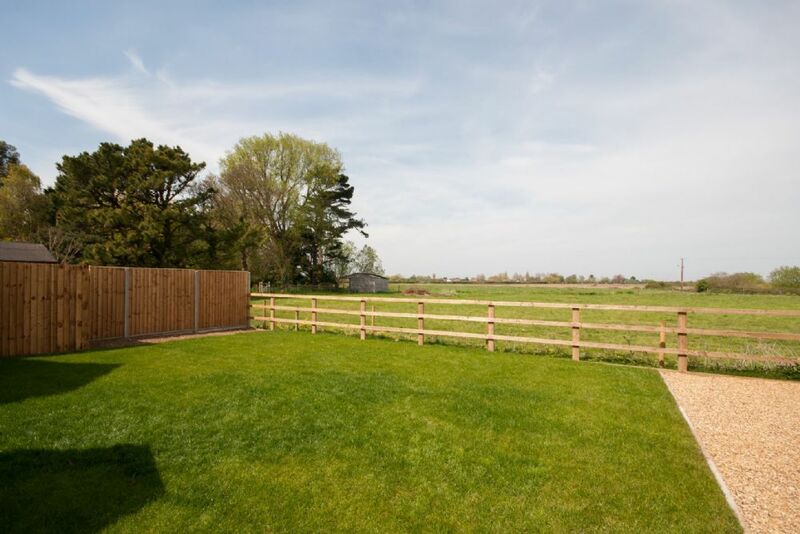 The back garden has been landscaped and has a wonderful aspect overlooking the marshes and out to sea, making this a lovely spot to sit and watch the varied bird life. 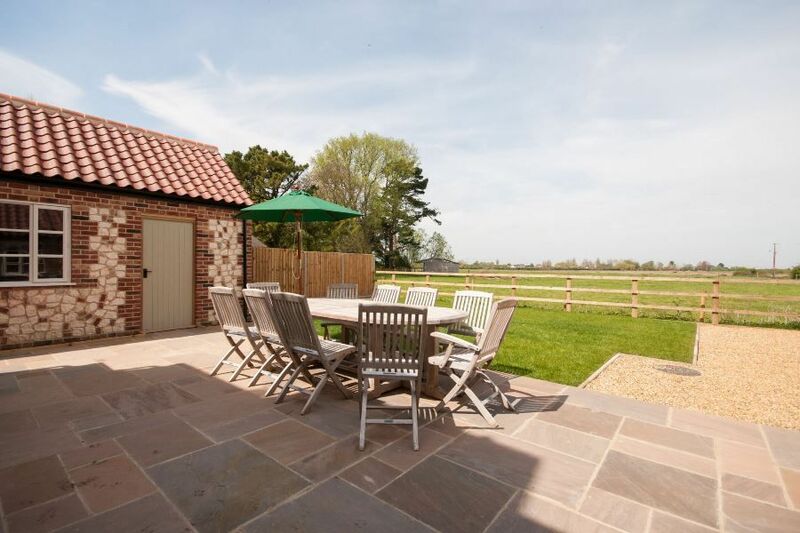 The garden is not overlooked and is fully enclosed and dog-proof, with a paved area with garden furniture and a barbecue, as well as a lawned area. 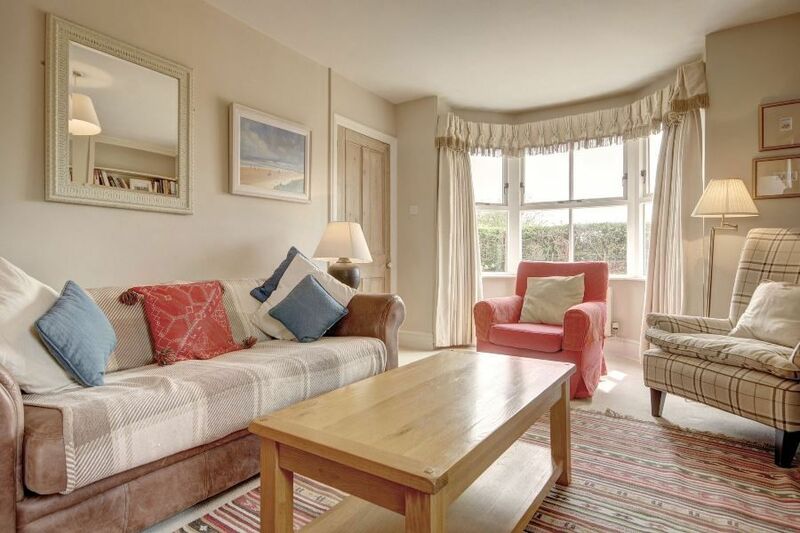 It is only minutes walk onto the coastal path which leads to the wide open sandy beach, and the good local pub (The White Horse) is conveniently situated only a short walk away. Please note as of March 2019 the owner will not be accepting short breaks. Better than Expected 10 out of 10 for cleanliness 9 out of 10 for garden We loved the location and lovely views Sowerbys agents were always very helpful. 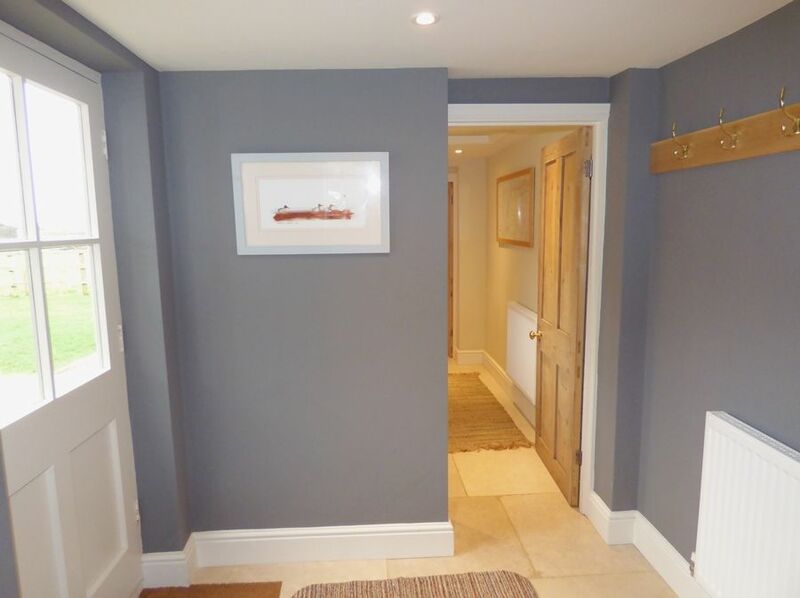 Better than Expected Beautiful and clean throughout 10 out of 10 for cleanliness and garden Love the proximity to coastal walks and local pub. Just like walking into our own home. 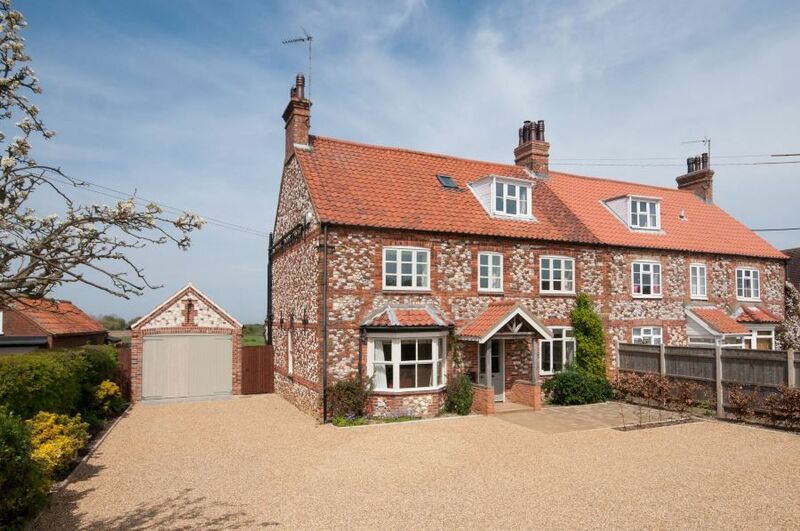 After visiting Norfolk for 50 years it was a delight to have discovered a well loved family home that sleeps 10, just a pity it does not sleep 14 for next year. The property suits our needs. We arrive with boats & trailers & have plenty of space for cars. Loads of room in the house. This was our 6th year of staying there. We are returning again next year. Please thank Tori & her family for letting us stay there year after year. A fabulous house. 6 adults, 2 teenagers and a baby - we all had a great time here. 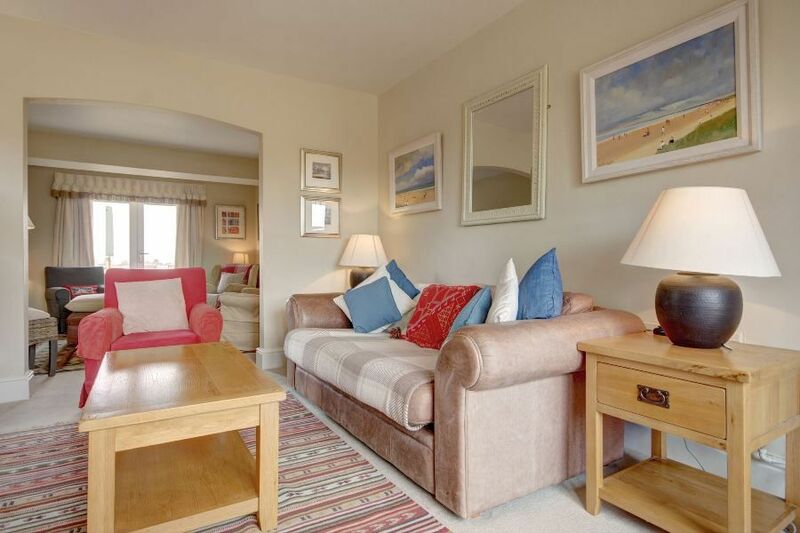 The property is excellent and has all you could want for a good self catering holiday. We had the added bonus of wall to wall sunshine so all meals were out on the patio with the beautiful views. The bird life is impressive, we were fascinated by the owl that made regular early evening swoops across the field at the end of the garden. 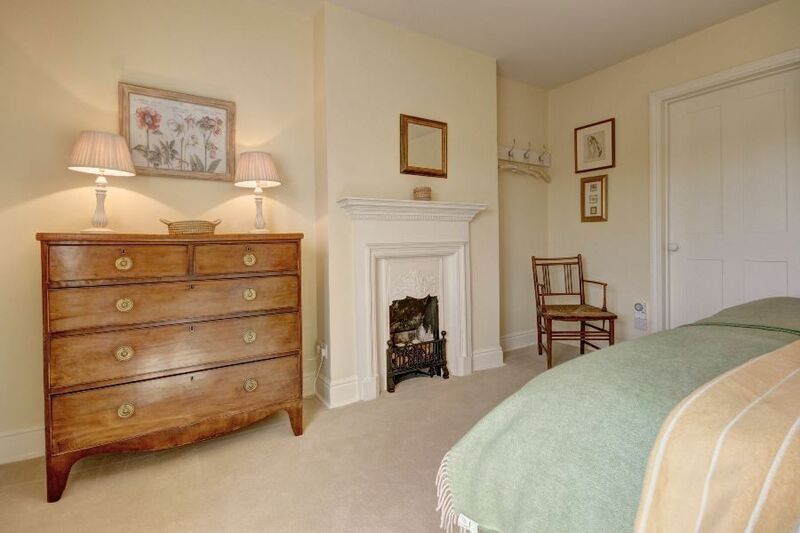 A delightful property in a superb location. What a lovely time spent in a beautiful house. Sunset beers on the beach, skate boarding and bat and ball along with excellent company made the trip up to Norfolk a truly memorable one! Thank you for having us and looking forward to next time! Yet another perfect trip to Greystones. Thank you so much for having us. Harri, you are the perfect hostess with the mostest! Bring on next year. A cracking weekend Harri! SO much fun and a belting group. Thank you for having us again, such a great house in an awesome place. Perfect weekend getaway with incredible weather (minus the wind on the beach! ), so much fun with everyone. Unbelievably well looked after by both Nick and Harri! Great fun playing golf football and brilliant trip to the beach. Hilarious fancy dress and weather could not have been better. A wonderful weekend with perfect weather and great friends. From cricket on the beach to the 3kg of king prawns on the bbq, it was a memorable weekend!! Fabulous weekend in this wonderful house! Sun shining all weekend! From foot golf to prancing around in silly fancy dress! Thank you again! A fantastic week in every way! The house was very comfortable and extremely well equipped. 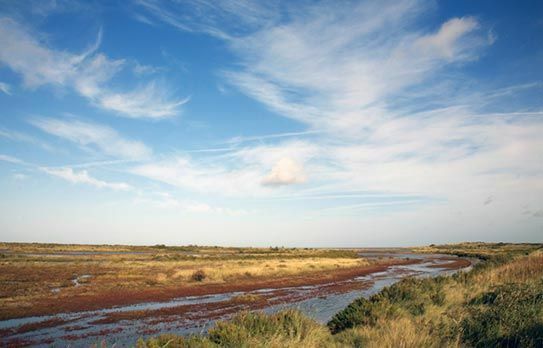 We managed to visit many interesting places in North Norfolk and the weather was the icing on the cake! Sunshine every day! We had great fun together - walking, talking, laughing and playing games. Holme Next The Sea is a delightful village... in other words we loved every minute of our stay here. Again many thanks!! A wonderful weekend celebrating Peter's 90th birthday! 3 generations and what a beautiful house to spend it in! So well equipped, so comfortable and in such a beautiful location - couldn't ask for a nicer place and such a thoughtful welcome basket. Thank you for making the occasion so special. Fantastic place, had a great time! Stayed this time last year - another wonderful week. The house is so very welcoming and comfortable. Thank you we have had a fantastic weekend, there was everything we could have asked for and more. So comfortable and home like and very well equipped. We loved the home from home feel. A great place in a fantastic location. The standard was very high and the house really well equipped. It felt like we were staying in someone's home, not a rental property. We absolutely loved the property and the location. Views Stunning, wonderful big skies. Proximity to pub and beach good. A lovely, cosy friendly house. Greystones - thank you for the best holiday of my life!! Wow! from Henry. We have really enjoyed our time here. We have had a really good week in a really comfortable, well appointed house - if it was ours I'm not sure I would want ot share it! 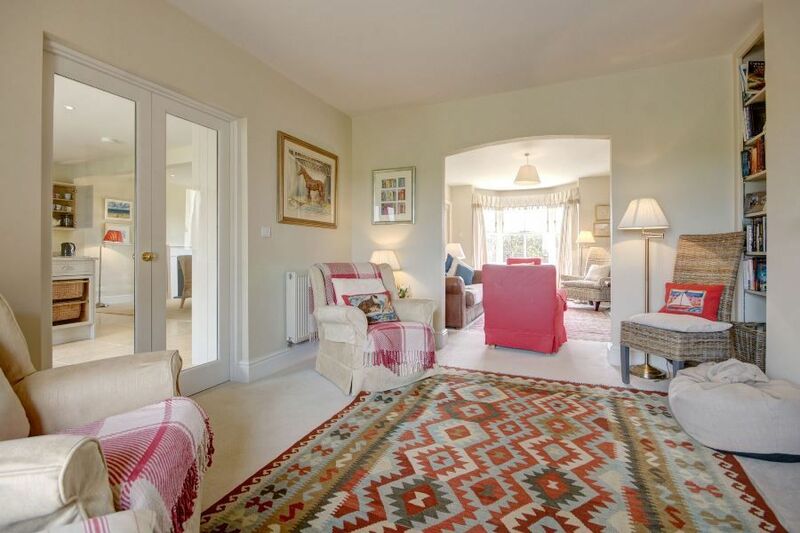 We think it is the best of all the many houses we have rented over the years. Thank you for the welcome basket and for sharing your lovely Norfolk home with us! Thank you for a lovely week in your beautiful house. We have had a fantastic time. We would love to come back again. Thank you for letting us rent your house. It is so comfortable and attractive, plenty of space and all mod cons. Lovely basket on arrival and fair weather. Many thanks, lovely house and really fantastic area - so much to do! The week disappeared so quickly. Great for boating with local friends at Thornham. Thank you for letting us stay here again. We love it here! We would love to come back next year. 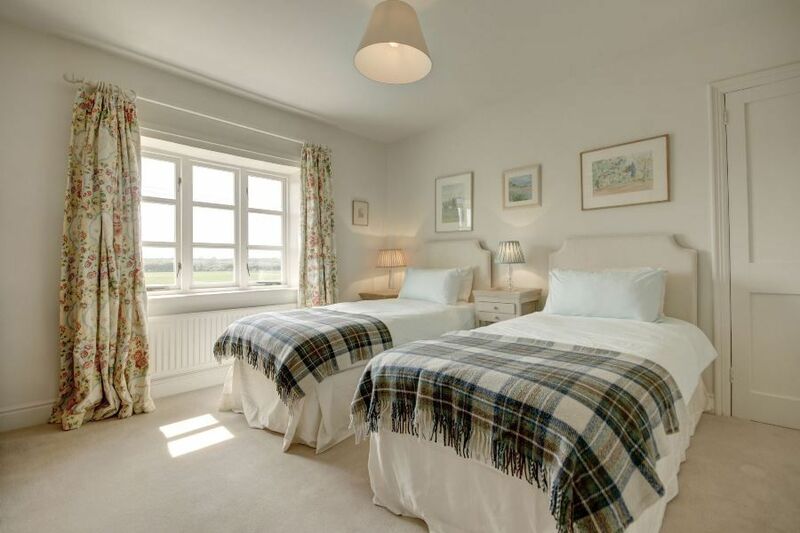 The beds are REALLY comfy, and my dad loved watching the barn owl. We went ot the Holkham Fair and had loads of FUN! We went ot the beach lots and played cricket, made sandcastles and went paddling in the sea. We did some cycling and had the BEST movie night ever. This is the best holiday house we have ever had! Since we were there in 2013 there have been great alterations. 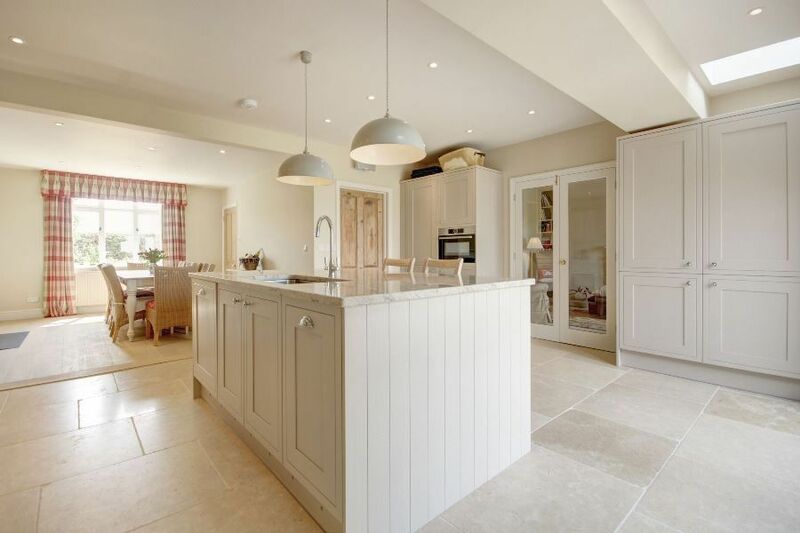 The kitchen and dining room is first class. It was a really good house. Thanks. Baxter aged 7. Wow! What a wonderful way to celebrate my 70th birthday. A lovely house in an area we have been coming to for the past 15 years, surrounded by my family. Topped off by a meal out at Titchwell Manor. Thank you. Stephanie. I loved Greystones. The beds were comfy and spacious. I love that the house is so near many places to walk; the beach, places to eat, Blickling Hall. Thank you. Poppy. Absolutely fantastic! Thanks. Sarah, Richard, Poppy and Ella. Absolutely loved it! 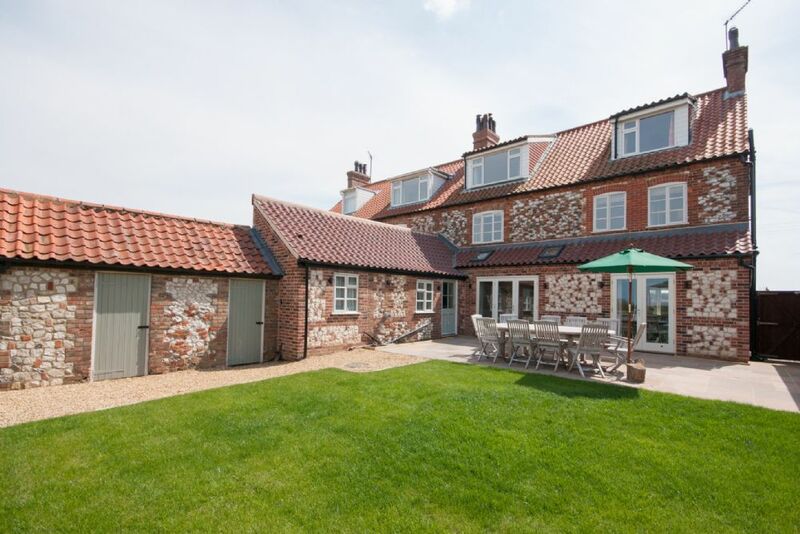 Probably the most comfortable and well-equipped house we've stayed in in our 12 years of visiting North Norfolk. The walks right from the house are spectacular and sitting outside watching the sunset and barn owl with great friends is really special. Thank you. A fantastic house to celebrate my 60th birthday. Peaceful and quaint village, good pub. So well equipped and so comfortable. Everything we hoped for and more! Planning to come again at some point. Wonderful 'mid week' break. Dogs loved it too. The house is a delight containing everything we could need and more! A delightful house, extremely comfortable and relaxing. Dogs (and owners) had a wonderful time. A definite must to return to. Thank you. 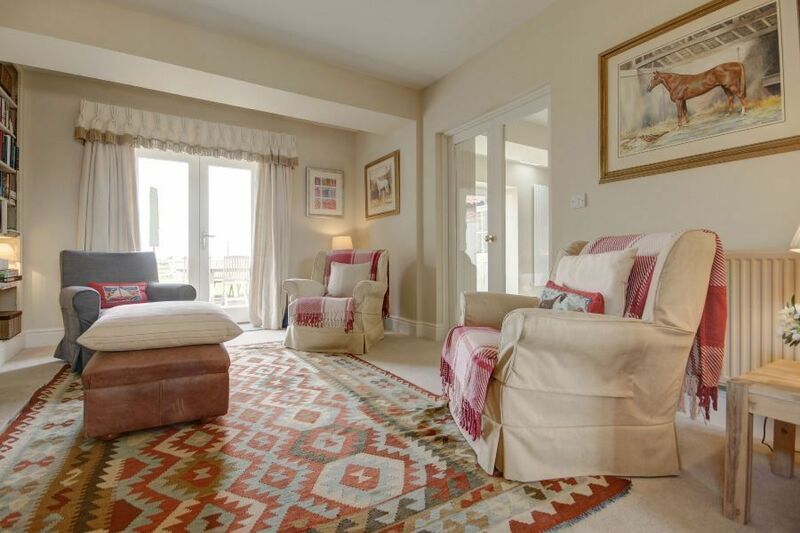 We found the property to be very clean with a fantastic kitchen and very comfortable beds. The garden was very nice. We would love to stay again at some point in the future.